Well it isn’t really, just that I didn’t take any pictures at all last week, was too busy on work days and too busy on days off. I don’t like being too busy. 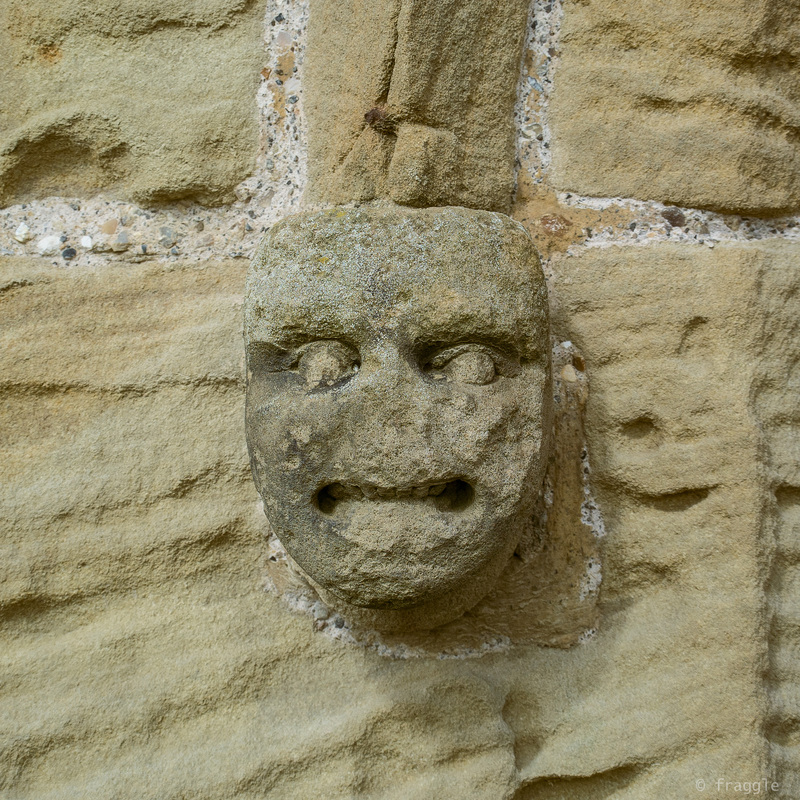 This week I am taking my camera’s everywhere and seeing pictures everywhere so I got my mojo back. Firstly, got up Monday morning, and whilst making a cup of tea, looked out of my kitchen window (which I cleaned on Sunday the day before!) and some dirty marks caught my eye. 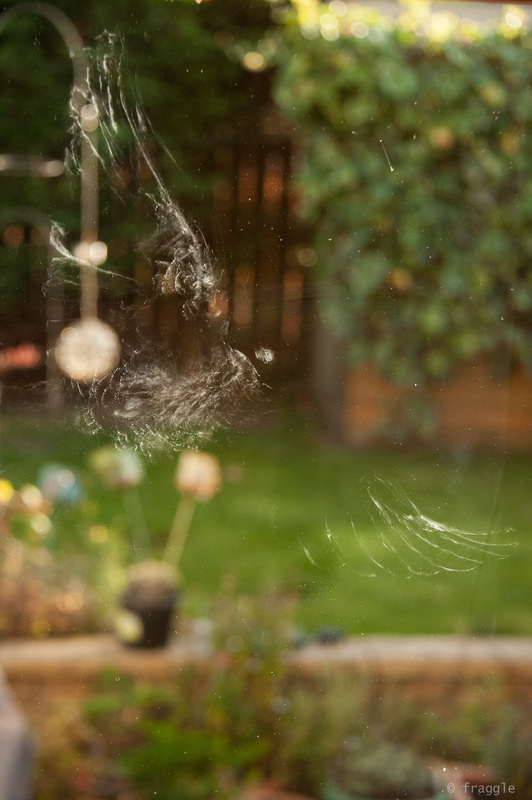 When I really looked it was a very good imprint of a flying pigeon. I couldn’t find a body so either the visiting cat got him when he landed or he managed to survive and fly off. Yesterday and today has given us some really nice unseasonably warm weather, and I’ve been to some really lovely places to see clients. 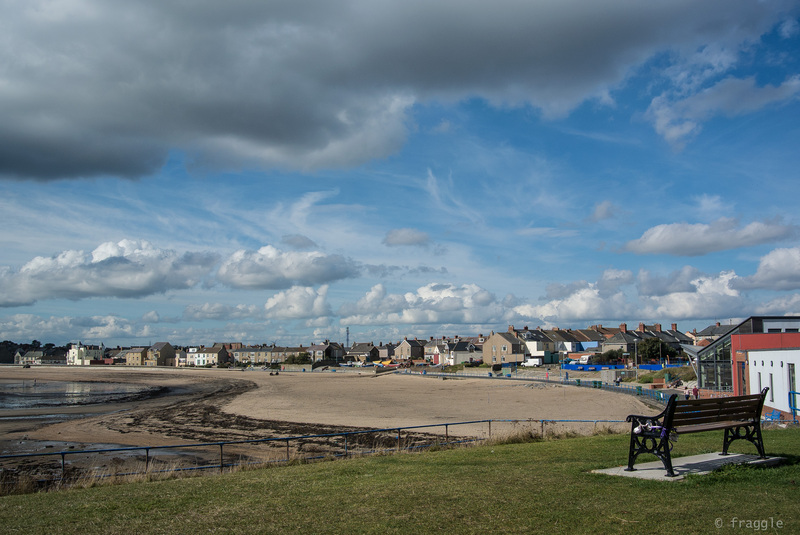 On Monday I travelled a long way north to Seahouses. 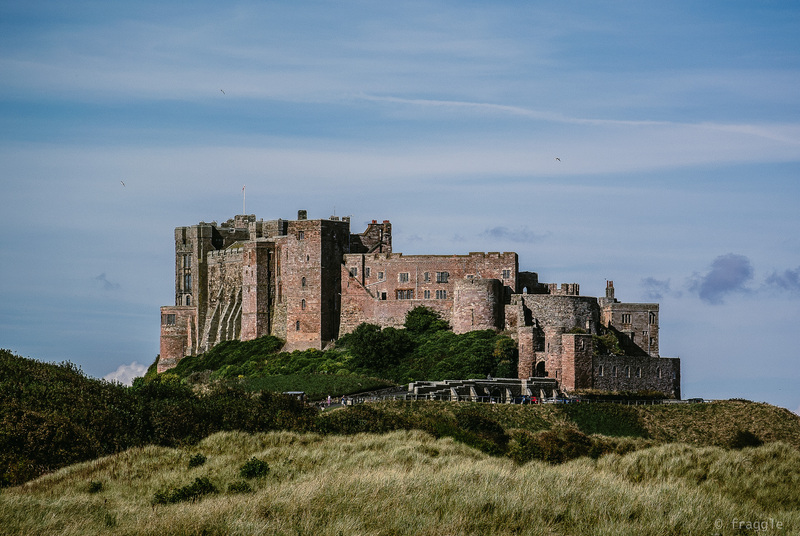 I got there an hour before due to see a client so popped up the road to take a shot of Bamburgh Castle . This isn’t the usual view as most photo’s of it are taken from the beach side, but I didn’t have time to get up that far. One day I’ll get up there and take some sunset shots on the beach. 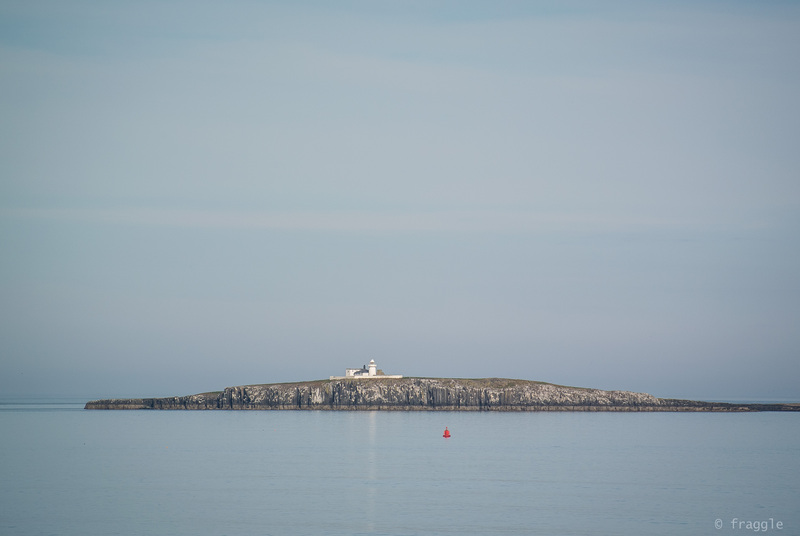 I drove back to Seahouses and lunch looking out to the Farne Islands, another place I have yet to do as there’s loads of bonkers birds on it like puffins. Today I went back up north but not so far. 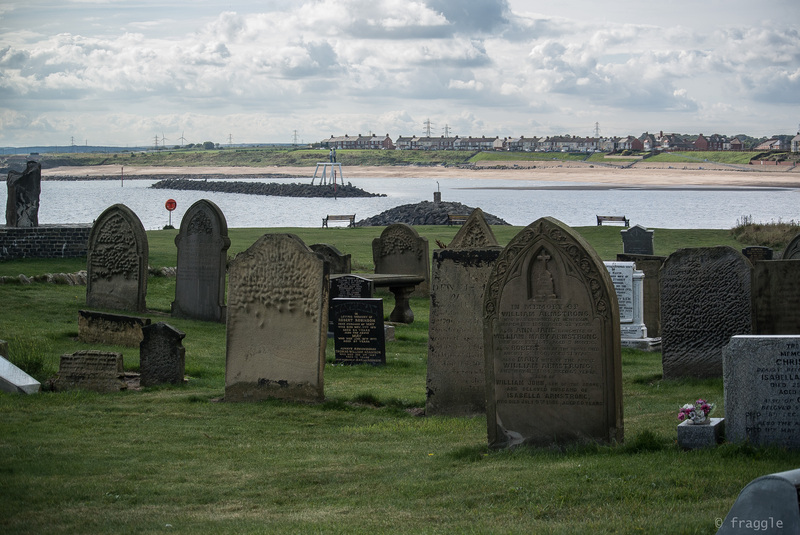 Just to Newbiggin-By-The-Sea, bit of a mouthful but a really pretty place. 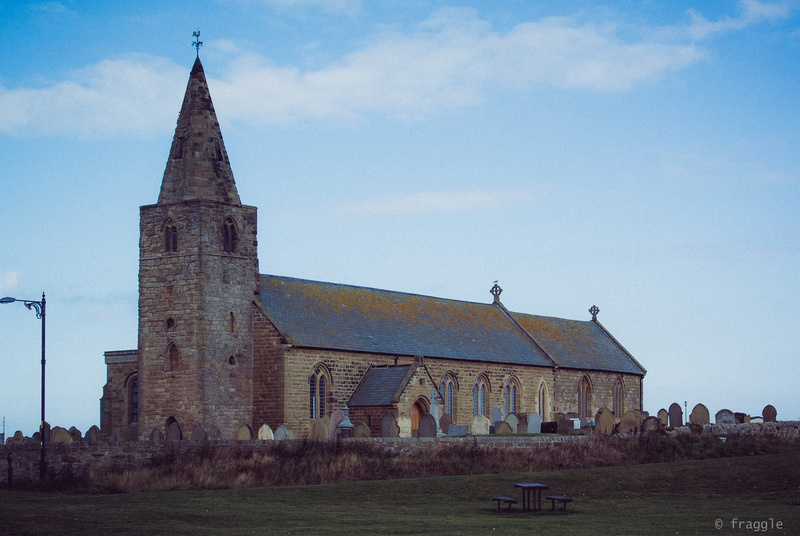 The church there, St.Bartholomews has 12th & 13th Century grave stones (which I forgot to look at haha) and is right on the edge of the coast. In that picture ^ you can just about make out ‘The Couple” an art installation of a man and woman standing on a plinth out on the breakwater. If you embiggen the photo by clicking on it you can see them, but don’t knock yourself out, it’s another place on my list of places to return to. 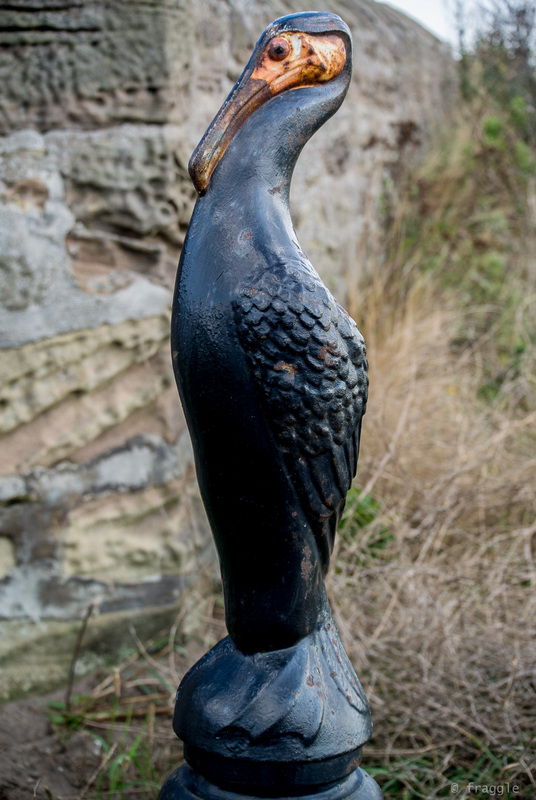 This was a cool find, he is a fence post, and I think it’s probably a cormorant, whatever, I think it’s cool. 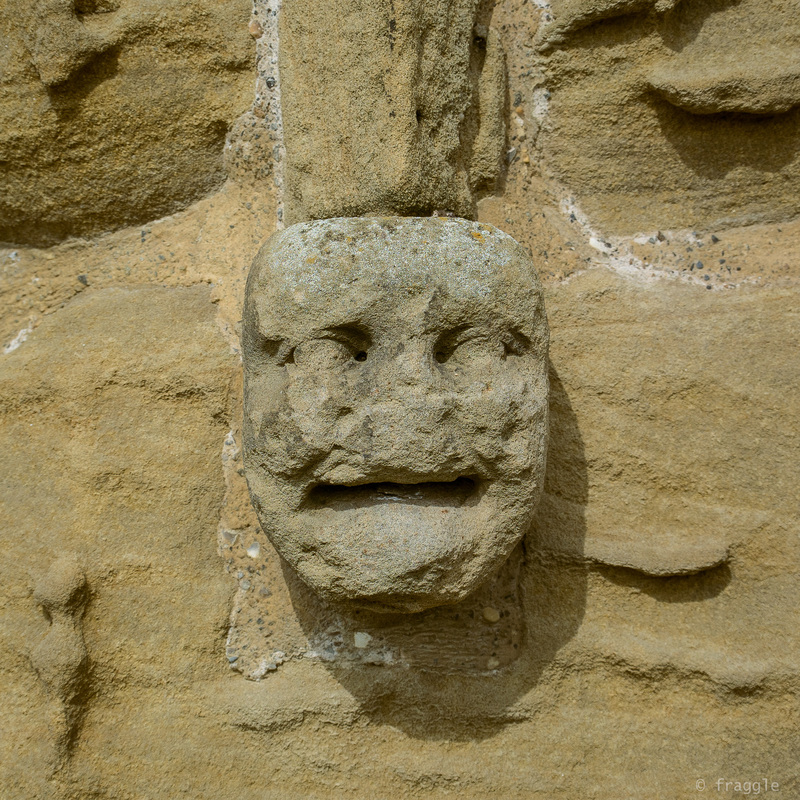 these guys are at the end of a stone archway over the door of the church, carved in 12th/13th century, amazing to touch something so ancient, and I love that the second guy has teeth! I think they’re guys, haven’t found any info as yet on the WWW. On top of the world, or at least the church roof. Thought this was funny, all those starlings wanting that top spot! 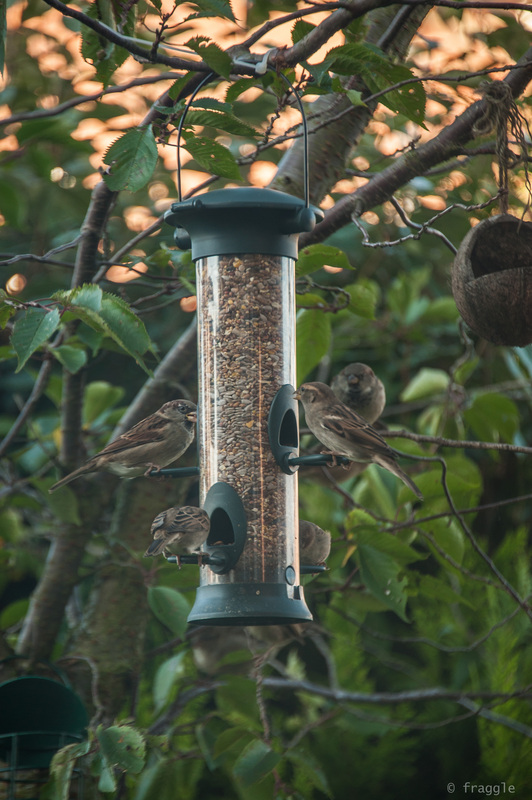 Finally, it’s turned into a bit of a bird week so far, I filled up my bird feeder in the front garden, and a herd of sparrows swarm it every now and again and fratch over who’s turn it is at the trough. Got such a mad busy day tomorrow, but hopefully will get out with the big girl camera toward the end of the week. These were all taken with my little compact, apart from the 1st and last. 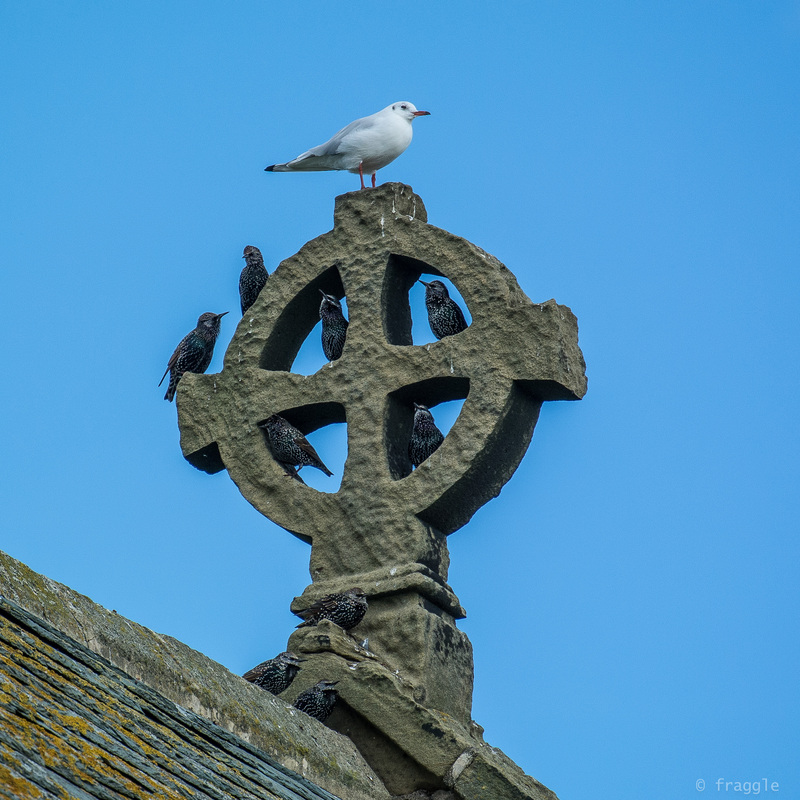 Posted in birds, Church, Graves, Nikon, photographyTagged Bamburgh Castle, birds, compact Nikon S1, Newbiggin By The Sea, Nikon, S1, seagull, sparrows, St.Bartholomews Church, starlingsBookmark the permalink. Yay Tuesday! I too hate being so busy. But glad you got in these gorgeous shots. You live in a beautiful area of the world for sure. I’m so happy you share it with all of us!!!! Like your new blog design by the way. Nice! Awesome captures Fraggy, and those birdies look like our sparrows.